Buy Ritchies Boiling Bag - Muslin bag x 2 bags in the UK from our online shop or directly from our independent Scottish store. Use these boiling bag (or straining bags) for straining in homebrew. You can use two bags for a finer mesh. Ideal to have at home for straining or boiling hops, fruit, flowers or herbs. There are 2 muslin bags in a pack. As official Ritchies stockist, we sell genuine Homebrew Accessories directly from our shop in Scotland and online throughout the UK. Where can you buy real Muslin Bags x 2 safely online? 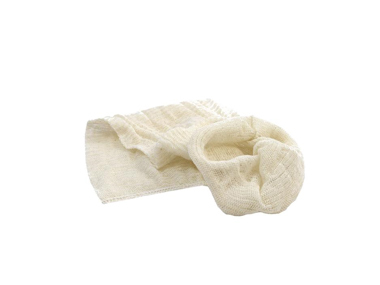 If you are wondering where you can buy Ritchies Boiling Bag - Muslin bag x 2 bags safely online in the UK, then shop with us. We are an actual health foods shop; with real people selling real foods and products. Our award-winning independent shop is located in Stirling, Scotland since 1976. You can buy our Wine kits, beer kits and Homebrew accesories and other genuine Homebrew Accessories in store or safely place an order with us online or over the phone. Muslin Bags x 2 - Ritchies Boiling Bag - Muslin bag x 2 bags in Homebrew Accessories and Homebrew.